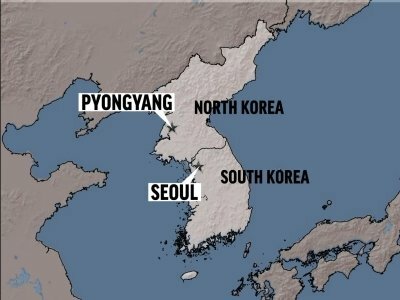 UNITED NATIONS (AP) — The U.N. Security Council strongly condemned North Korea’s “highly provocative” ballistic missile test on Friday and demanded that Pyongyang immediately halt its “outrageous actions” and demonstrate its commitment to denuclearizing the Korean peninsula. The U.N.’s most powerful body accused North Korea of undermining regional peace and security by launching its latest missile over Japan and said its nuclear and missile tests “have caused grave security concerns around the world” and threaten all 193 U.N. member states. Since U.S. President Donald Trump threatened North Korea with “fire and fury” in August, the North has conducted its most powerful nuclear test, threatened to send missiles into the waters around the U.S. Pacific island territory of Guam and launched two missiles of increasing range over Japan. July saw the country’s first tests of intercontinental ballistic missiles that could strike deep into the U.S. mainland when perfected. The Security Council stressed in Friday’s press statement after a closed-door emergency meeting that all countries must “fully, comprehensively and immediately” implement all U.N. sanctions. The council welcomed efforts by its members and other countries “to facilitate a peaceful and comprehensive solution” to the North Korean nuclear issue through dialogue. Nebenzia told reporters after the meeting that Russia called on the U.S. and others to implement the “political and diplomatic solutions” called for in the latest sanctions resolution. “Without implementing this, we also will consider it as a non-compliance with the resolution,” Nebenzia said, adding that it also may be time for the council to “think out of the box” on how to deal with North Korea. “If North Korea provokes us or our allies, we have the strength to smash the attempt at an early stage and inflict a level of damage it would be impossible to recover from,” he said.